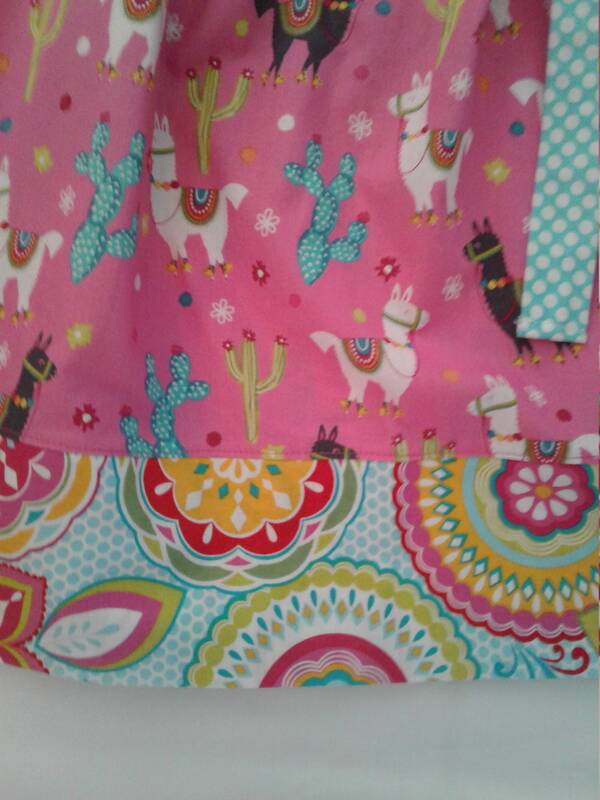 I used a cute Llama or some may say Alpaca print for this bright girls summer dress would be a great addition to any wardrobe. 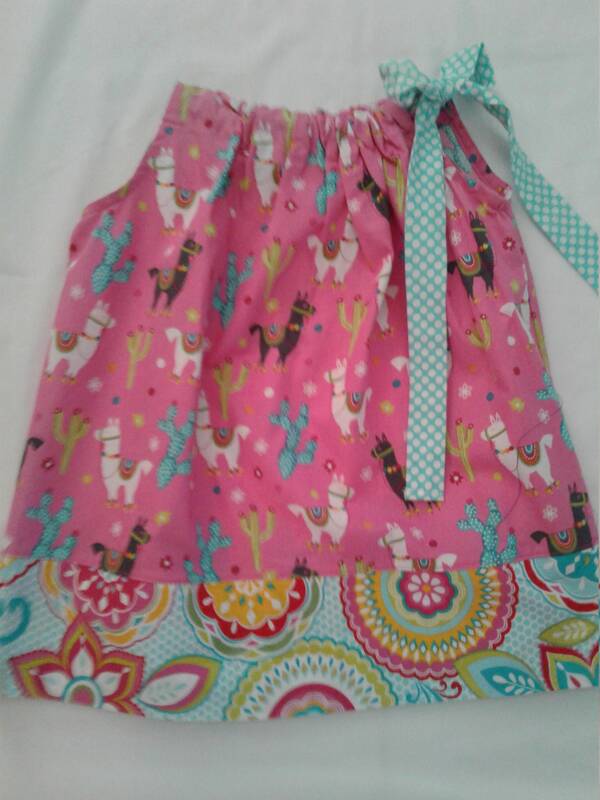 This is a cotton easy care dress. You can machine wash tumble dry which i have done before constructing garment. 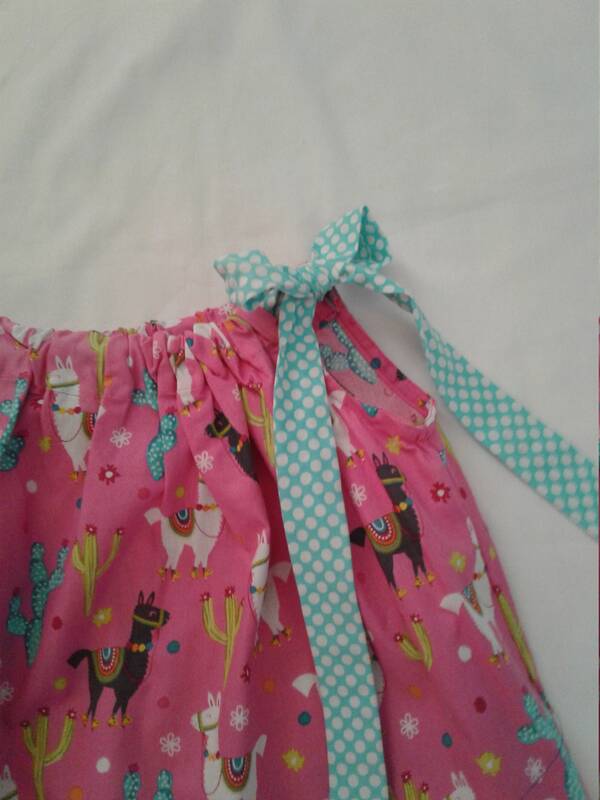 This is a Pillowcase style making it a loose fitting, It ties at one shoulder with a fabric tie and has a contrasting fabric for hem. 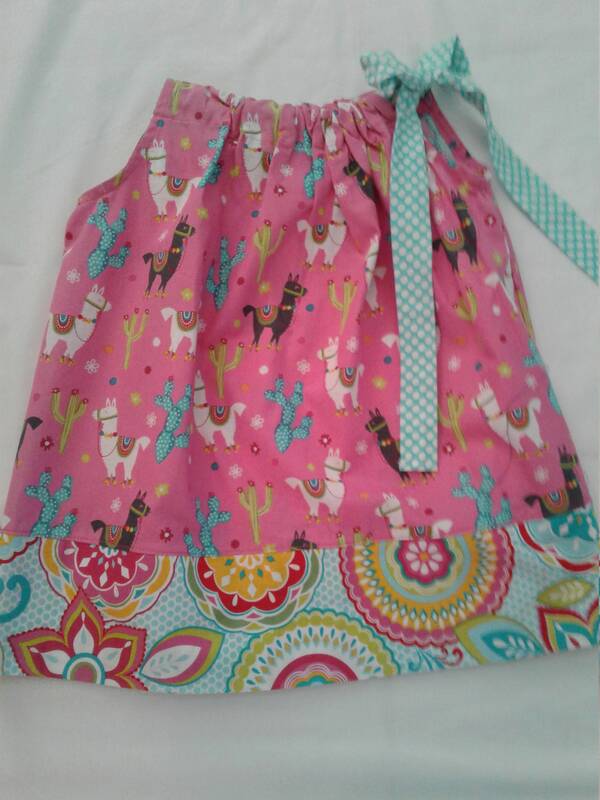 The fabric is 100% cotton fabric and handmade in my Smoke free sewing Studio.All seams are professionly finished and top stitched for durability. Armholes are lined for a professional look. 14.5" 16" 18" 20" 22" 23" 24" 25" 27"